Apollo Tiano was the fifth, of six children of Leocadio Tiano and Emilia B. Tiano. He was a guerilla officer during World War 2, and he participated in the action leading to the capture of Malabang, Lanao and in the mopping-up operations in Davao and Cotabato. In 1946 he was honorably discharged from the armed forces, and he turned his attention to his studies. He took up civil engineering at Far Eastern University, later shifted to the Philippine Nautical School. But soldiering was irrepressibly in his blood. He reported to the AFP service school at Fort Mckinley; soon he won a prize for having the best mark in physical fitness. He served as instructor at Mckinley for a year. A year later he joined the 19th BCT when it was organized for combat duty in Korea. In June 21, 1952 he met his death in Chorwogon, North Korea. He was 29 and single. “the battle looked like the siege of a medieval castle with the Chinese clambering up ladders and the Filipinos shooting them down or pushing them off. Lt. Apollo Tiano led his platoon in a frantic bayonet charge against the advancing Chinese, killing one before being killed himself. His men held their positions. The Chinese ware fought to a standstill and forced to retreat by a savage counter attack. The fight continued until the morning of the 21st. The retreating Chinese left behind the hulks of two tanks and over 500 dead. Eight Filipinos were killed and 16 wounded in the brutal night battle. 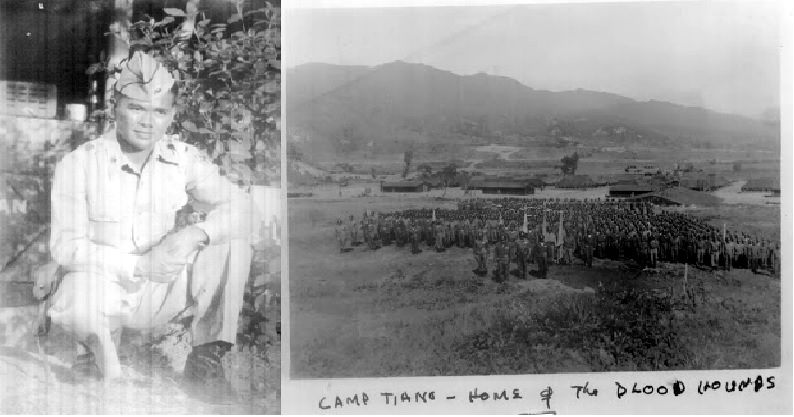 Camp Apollo Tiano was named after him in Simpo-Ri Korea. He was honored by the AFP when they named BRP Apollo Tiano, a Conrado Yap class boat assigned to NAVFORCEN. Brig. 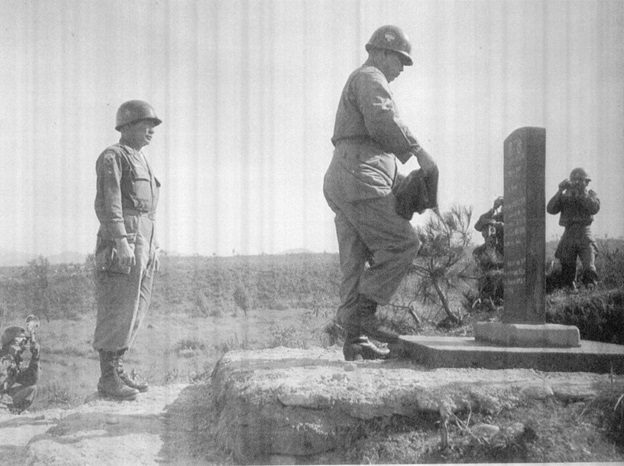 Gen. Jesus Vargas, then Vice Chief of Staff of the Army as he unveiled the marker at Camp Tiano, Simpo-RI, Korea, as Gen Aguirre looks on.